Having rejected Manchester United’s offer for Willian, the Blues might sell the winger to Barcelona. Willian has found himself below Pedro in the pecking order at Chelsea under Antonio Conte. Thus, the Brazil international is deemed surplus to requirements at the Stamford Bridge, and might be sold for the right price. The attacker was approached by Jose Mourinho for a reunion, but Conte did not wish to lose yet another player to Manchester United after Nemanja Matic. According to The Times, Barcelona have expressed their interest in signing Willian from Chelsea in the recent days. The Spanish club is looking at bringing in the wide-man at Camp Nou after failing to reach an agreement for Coutinho with Liverpool. 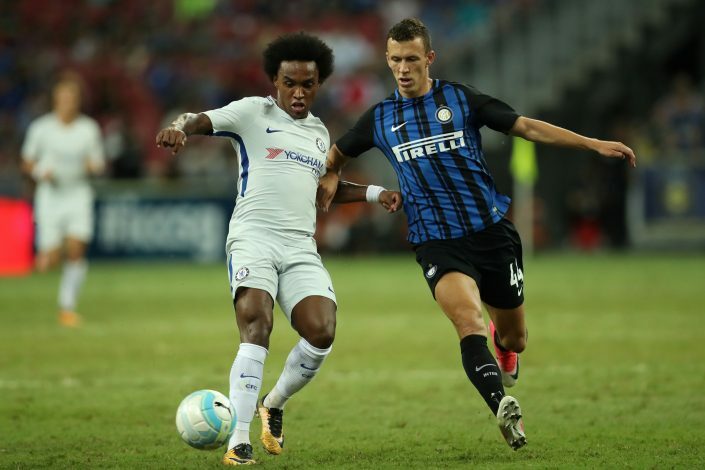 Even Conte is said to be more receptive of the Barcelona interest, and the Italian tactician might consider selling Willian if a reasonable offer comes in. Earlier, Willian had confirmed that Mourinho had contacted his agent about a possible move to Old Trafford, by revealing: “There were a few conversations with my agent. I worked with Mourinho [at Chelsea] and I became his friend as well.